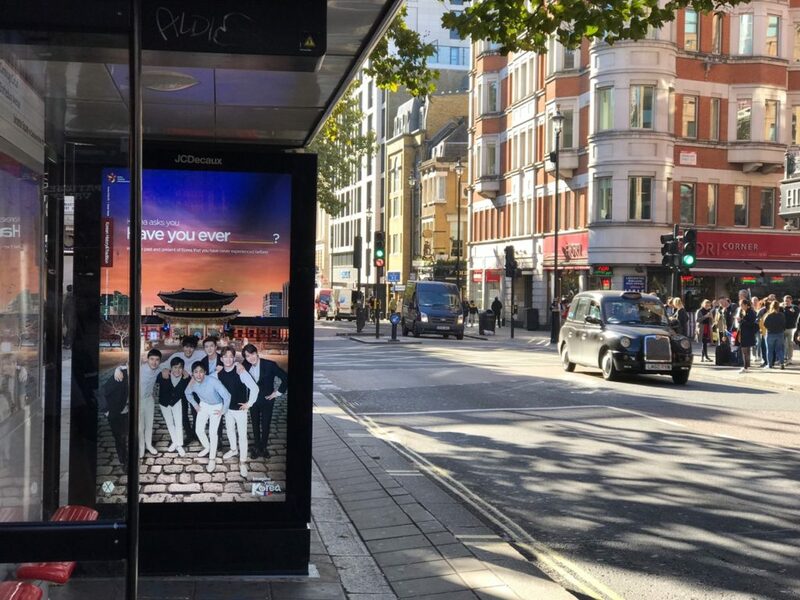 The London office of the Korea Tourism Organization (KTO) has today launched an advertising campaign to promote Korean tourism at several major locations across London. 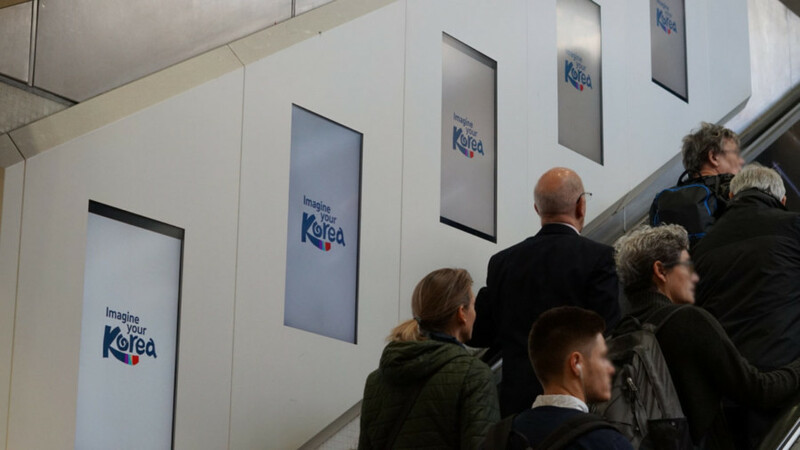 The campaign, running for five weeks from the 22nd of October, will introduce members of the public to Korea via digital screens at seven central train stations including Waterloo and Victoria, as well as 19 bus stops at tourist attractions such as Buckingham Palace and Baker Street. Part of a promotion to commemorate the UK/Korea 2017-18 Creative Futures year of cultural exchange between the two countries, the campaign has also been timed to coincide with the World Travel Market London in November, which KTO attends annually. Though Korea is not commonly regarded as a popular travel destination in Britain, the number of British visitors reached 135,000 in 2016. Tourists looking for a new and exciting destination visit Korea to experience its perfect mix of ancient and modern history, culture, and architecture, as well as its stunning natural scenery. 2018 has also seen a considerable increase in interest in the country, particularly due to the improvement of inter-Korean relations. Throughout the year KTO London has used social media and Youtube advertisements to raise awareness about Korea, with the 2018 Pyeongchang Winter Olympics providing the perfect opportunity to promote the country as a year-round destination. 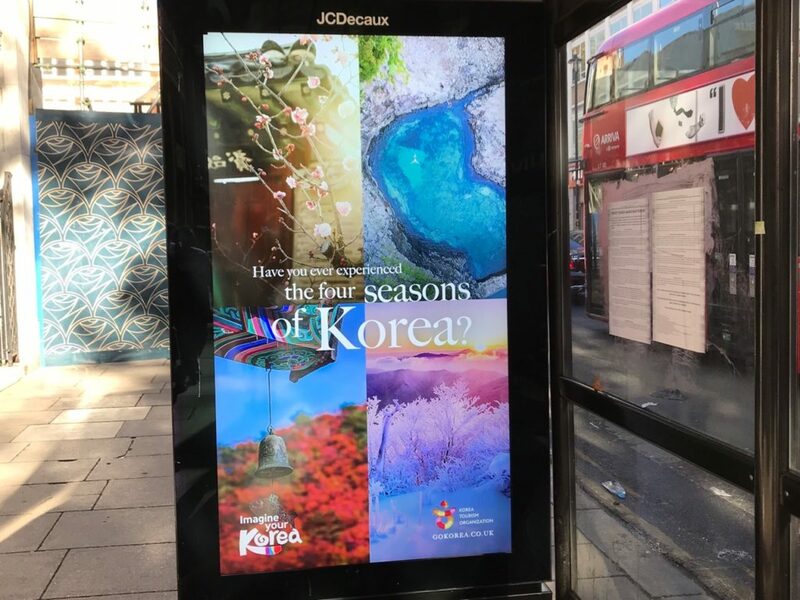 To build on this, the London campaign uses videos and images of each of the four seasons in order to convey the variety of sights and experiences on offer throughout the year in Korea. In keeping with the growing interest in K-Pop and wider Korean culture, KTO has also selected images of its official 2018 tourism ambassadors, K-Pop supergroup EXO, to use in the campaign, with an online giveaway to celebrate the promotion also planned.